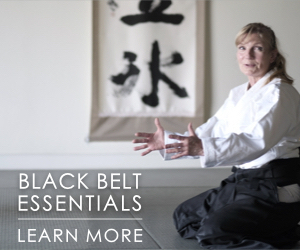 All of the Content you see on this website, including, for example, all of the page headers, images, illustrations, graphics, audio clips, video clips, and text, are subject to trademark, service mark, trade dress, copyright and/or other intellectual property rights or licenses held by Aikido Journal, one of its affiliates or by third parties who have licensed their materials to Aikido Journal. 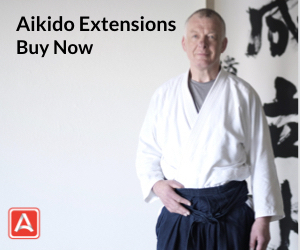 The entire Content of the Aikido Journal website is copyrighted as a collective work under U.S. copyright laws. 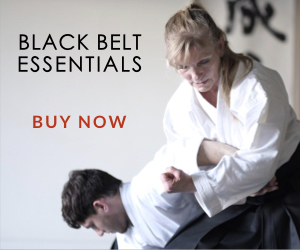 This site and all contents of this site are provided on an “as is” basis without warranties of any kind, either express or implied, including without limitation, warranties of title or implied warranties of merchantability or fitness for a particular purpose. You acknowledge, by your use of this site, that your use of this site is at your sole risk, that you assume full responsibility for all costs associated with all necessary servicing or repairs of any equipment you use in connection with your use of our site, and that Aikido Journal shall not be liable for any damages of any kind related to your use of this site. While we will make every effort to keep content on this site current, we do not guarantee it is the most up to date information available. 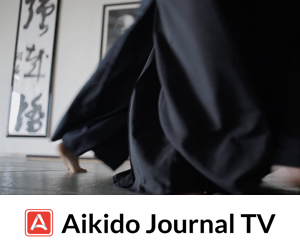 You agree to defend, indemnify and hold Aikido Journal harmless from and against any and all claims, damages, costs and expenses, including attorneys’ fees, arising from or related to your use of the site. Governing Law The laws of the State of California govern the Terms and Conditions of this Agreement. If any one or more of the provisions of these Terms & Conditions shall be for any reason whatsoever held invalid, then such provisions shall be deemed severable from the remaining provisions and shall in no way affect the validity or enforceability of the other provisions of these Terms & Conditions.